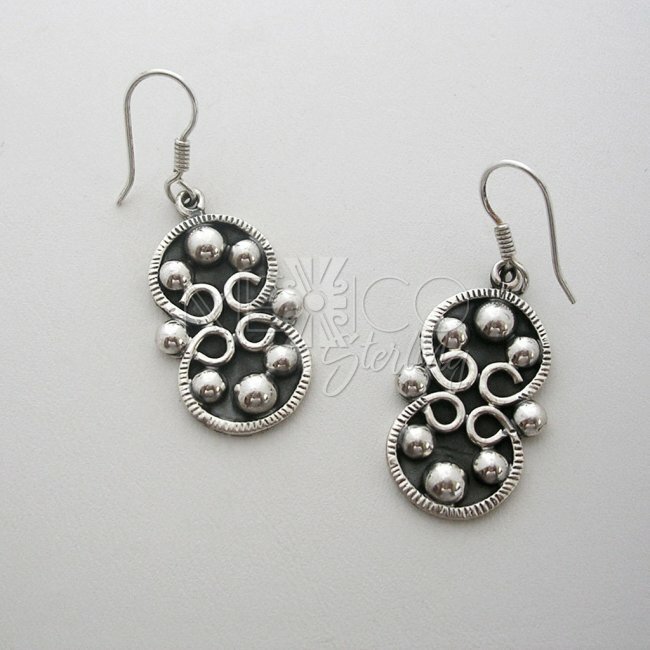 Taxco Silver Moon Sisters Earrings [EAR3369] - $46.00 : Mexico Sterling Silver Jewelry, Proundly from Mexico to the world. 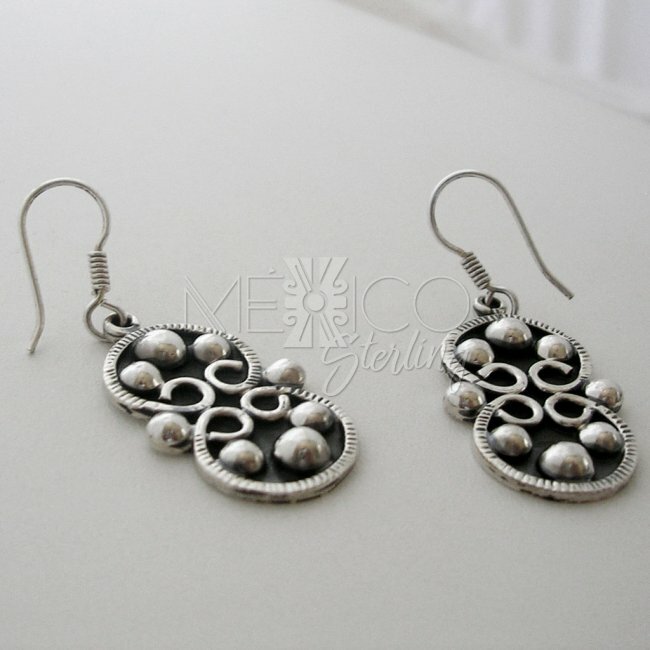 Dimensions: W: 3/4" L: 2"
Mexican silver dangle earrings with a flawless rustic finish. These nice pieces of jewelry are completely handmade with excellent workmanship, they also carry a kind of baroque look that is a well known characteristic for some more classic Mexican jewelry. 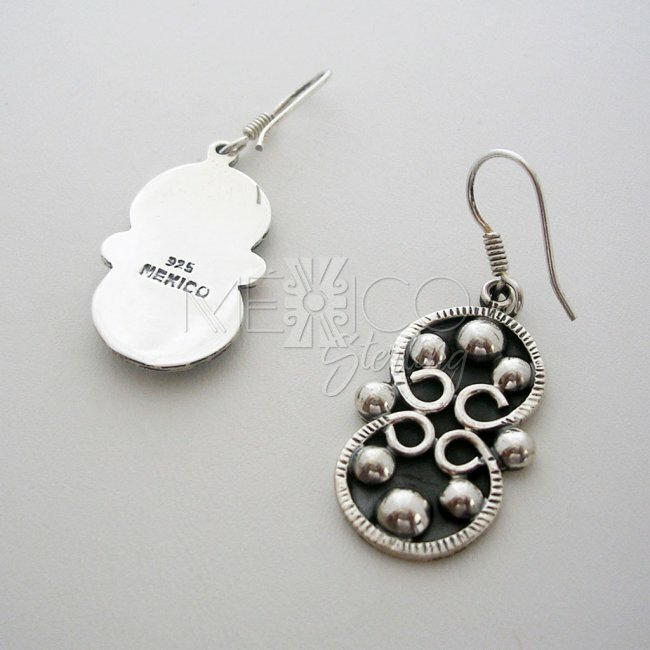 They carry that special charm of the old Taxco jewelry without a doubt. That's why, we can say that these beauties will always turn heads, no matter what look you are into. They are a perfect addition to a more casual or semi formal event. They are also pretty sturdy and substantial in weight for their size and built. Please take a look at the additional photos, for more details on these silver pieces.